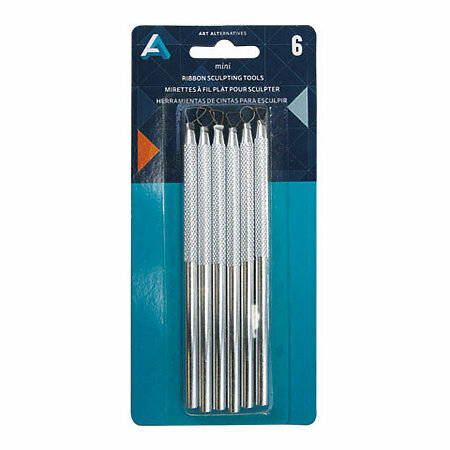 This ribbon sculpting tool set includes six high-strength stainless steel sculpting tools with aluminum handles. Use these tools to contour, shape, trim and detail clay and other modeling materials. Each tool in this set measures approximately 5" in length.